Fred and Tom founded 98toGo in the summer of 2011. Together, the pair set off to introduce the relatively new concepts of Inbound Marketing to business owners who were tired of shelling out thousands of dollars on online advertising that was failing to produce the results they were expecting. Those first clients were a proving grounds for Fred and Tom, and since 2011 98toGo has grown, shrunk, grown again, won clients, lost clients, experienced tremendous highs and evolved with the times. Here is the story of how 98toGo started. 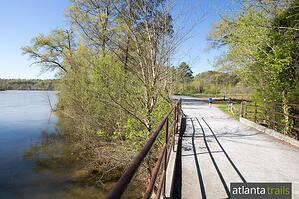 On a spring day in 2011, Fred Spring went out for a bike ride along one of his favorite trails following the Chattahoochee River in Atlanta, Georgia. A few hours later, as he was on his way back towards his car, he crossed paths with a familiar face - Tom Telford. Fred and Tom first met in 1999 as part of a men's leadership team. The two had mutual interests and quickly began a friendship. Over the next 4 years they remained friends, seeing each other regularly and bonding over their shared interests. But in 2003 Tom left the organization and the two lost touch. They were reunited on the spring day in 2011. They caught up on pleasantries, updating each other on what had transpired through the years they were out of touch. Then Tom shared something with Fred that would set their conversation on a new path -- this spring bike ride with his son had been the first day he had taken off of work in 6 months. He was burnt out, and to Fred it was plain to see. Tom was the owner and operator of Cedar Creek Cabin Rentals, a cabin management company in Helen, Georgia. 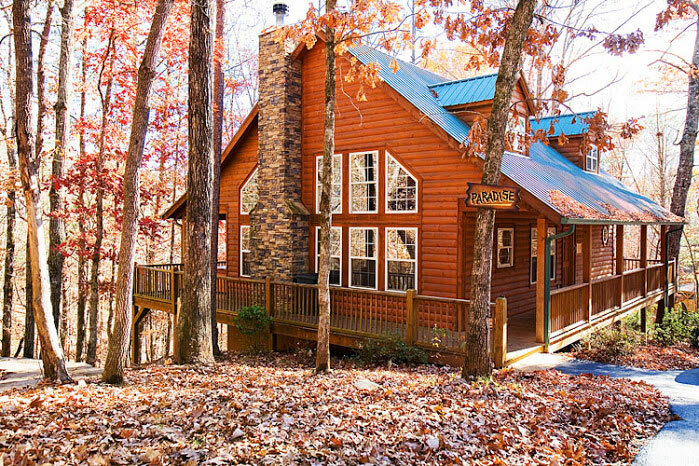 Tom and his small team (mostly of maintenance personnel) managed 30 luxury cabins in the north Georgia mountains, renting them out to vacationers from all over the country. Tom's company was profitable and growing, but at a cost. Tom was relying heavily on Pay Per Click advertising through Google Adwords to drive traffic and sales for his business. He was the sole person managing, monitoring and improving his Adwords account. Because of Tom's drive and determination to make his business a success, he frequently spent late nights studying his ad campaigns, pouring over manuals and training videos to learn the latest Adwords strategies, and attending conferences to deepen his understanding of online advertising. Tom was deeply immersed in the success of his business, and like many entrepreneurs, had prioritized the success of the business over his personal well being. At the same time, Fred was also involved in online marketing, but of a different sort. Fred had spent 20 years working with Turner Broadcasting as a marketing researcher and analyst, and had learned a tremendous amount about how to track and optimize advertising campaigns in the TV and radio space. After leaving Turner, Fred turned his sights on a different arena, the internet, and became fascinated by the tracking and accountability that the internet provided online marketers. He saw online marketing as a much more effective way of measuring true return on investment, and he dove in head first. When he ran into Tom on that bike path, Fred was busy building an organic link building business that was growing swiftly. Running into Fred that day was no coincidence, and Tom knew it. He had been wanting to find a partner who could help lighten his marketing load at Cedar Creek. Someone who could bring in fresh ideas and new growth strategies. What he found in Fred was not only a marketing partner, but a new way of thinking about his marketing. The two decided they would join forces to enhance Cedar Creek's marketing. They set out with the goal of reducing Cedar Creek's paid traffic, and increasing its organic traffic. The pair began researching and learning all they could about organic marketing online. Through their research they stumbled across a fairly new company with a marketing software that looked promising. That company was called HubSpot. 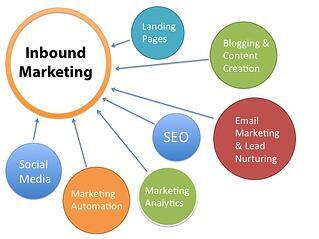 Inbound Marketing was not invented by HubSpot, but the methodology and style was certainly perfected by them. Stumbling across HubSpot proved to be a turning point for the partners. Tom purchased HubSpot to use on Cedar Creek's marketing, and dove head first into learning everything he could about Inbound Marketing, quickly becoming an expert. The results were significant. Within 6 months of applying inbound marketing methodology to his website -- blogging 5 times per week, using downloadable content offers to capture leads, nurturing leads through email workflows -- Tom increased his organic traffic 91% over the previous year. He also increased his overall number of conversions (from visitors to leads) by 37%. And most dramatically, he reduced his annual PPC spend from $100,000 to $33,000. Inbound marketing worked for Tom and Cedar Creek. And things started to happen. First, HubSpot recognized Tom and Cedar Creek as having one of the highest Customer Happiness Indexes (or CHI) amongst its customers. That meant that, of all of the other HubSpot clients, Tom and Cedar Creek were experiencing some of the biggest growth. The Cedar Creek story was even written up as a case study for the HubSpot website. Second, the New York Times ran a story about Tom and Cedar Creek, profiling how Tom successfully implemented Inbound Marketing methodologies through HubSpot to improve his website and business performance, while dramatically decreasing his annual advertising spend. Thrilled by the results they were seeing, Tom and Fred began telling other business owners about their success. The pair raved about Inbound Marketing and HubSpot, telling anyone who would listen about the power of creating remarkable content, capturing leads, and nurturing those leads to a point of sale. People were listening and were eager to experience the same type of results. The pair recognized an opportunity to bring Inbound Marketing to other small businesses who were in similar situations to Tom and Cedar Creek. They decided to go into business together and set out to form a company. Their company would develop and execute inbound marketing campaigns for small businesses, like they had done with Tom, using HubSpot as the execution tool. Tom would focus on Sales and Customer Delight, Fred would focus on Business Operations and Content. And with that, 98toGo was born. The early mission of 98toGo was to provide business owners with peace of mind so that they could focus on their business. To Tom and Fred, peace of mind meant that the business owner didn't have to worry about their marketing like they used to. That mission resonated with prospects, and the pair quickly enrolled a slew of early clients. They hired their first employee in December of 2011. From there the team steadily grew, adding new team members as the number of clients and workload grew and grew. 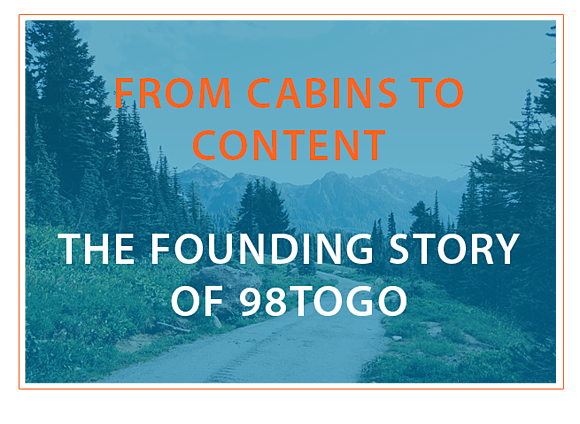 In the early days, 98toGo was focused primarily on the creation and publishing of quality blog content. Because inbound marketing as a business strategy was still in its infancy, many 98toGo clients simply needed to implement a consistent blogging strategy to see results pour in. That worked, until it didn't. As other businesses began to catch on to inbound marketing, more and more effort needed to be made to achieve the same results. Tom and Fred knew that in order to remain competitive, they needed to evolve their strategy (both for 98toGo and for their clients). They added new marketing experts to the team, professionals with experience in SEO, promotion, social media. They evolved from an agency focused primarily on content, to one which had a more holistic approach to inbound marketing. And they added new sustainable, long-term value to their clients as they built more effective marketing machines to generate results. That's where you find 98toGo today in 2015. We're an inbound marketing agency who utilizes the best and most effective inbound marketing strategies to drive results for our clients. This includes: blogging, SEO, premium offer creation (ebooks, whitepapers, research papers), landing page design, email marketing, lead nurturing, social media marketing, promotion (paid promotion through Google Adwords, Facebook, LinkedIn), onsite website optimization, and more. Some people call us a bit quirky. 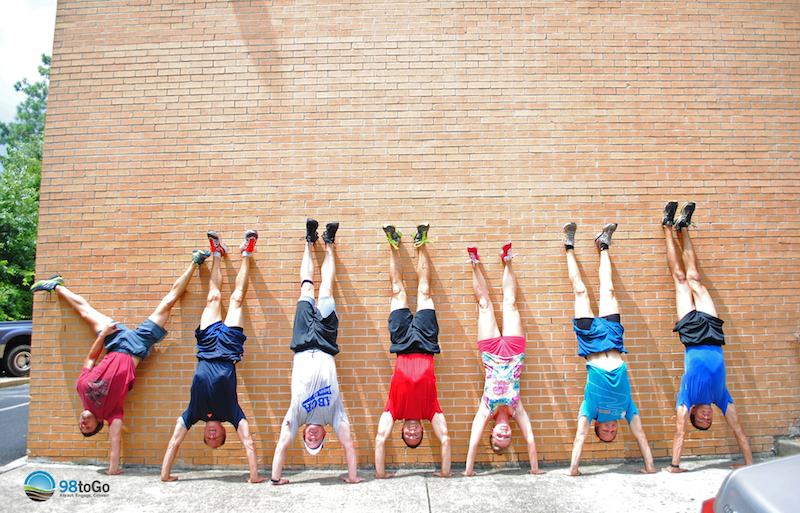 Perhaps it's our passion for health and fitness that makes us stand out. Or maybe it's literally the hand stands! Whatever it is, we are passionate about infusing health and fun into our work, and it it shows in everything we do. As the world of inbound marketing evolves, so too do we. Our goal has been and continues to remain the same: To deliver peace of mind to our clients by crafting effective inbound marketing strategies that get results. But the tactics we use and the tools we incorporate, change with the moving tide of the industry. Our clients are business owners and marketing managers who believe in the power of inbound marketing, but whose expertise lies in the specialty of their business. Our clients are technology companies, hotels, financial institutions, law offices, engineering firms, and even other marketing agencies. What they have in common is a desire to do marketing in a more intelligent way. To enact sustainable, effective marketing solutions that will continue to drive results, even when their focus is elsewhere. Their goal is to bring in an expert to remove the burden of generating traffic and leads for their business, so they can focus on doing what they do best. And lucky for them, generating traffic and leads is what we do best! If you're brand new to inbound marketing and HubSpot, please check out our free guides that will help you get your feet wet. If you're interested in learning more about what 98toGo has to offer, please take a look at our special ebook called "A Balanced Partnership With 98toGo". And if you want to keep up with our blog, click the button below to subscribe.